The study found several trends in parental leave since California passed the country’s first paid family policy. Overall, men were 46% more likely to take paternity leave than before the law went into effect and that joint leave taking also increased under the family leave policy. Other findings included that men working in a mostly female office who see women taking maternity leave are also more likely to take paternity leave and that fathers were more likely to take leave for firstborn children than their younger sibling(s). A newborn needs milk, cuddling, a safe place to sleep, and lots of diaper changes, regardless of the baby's gender. 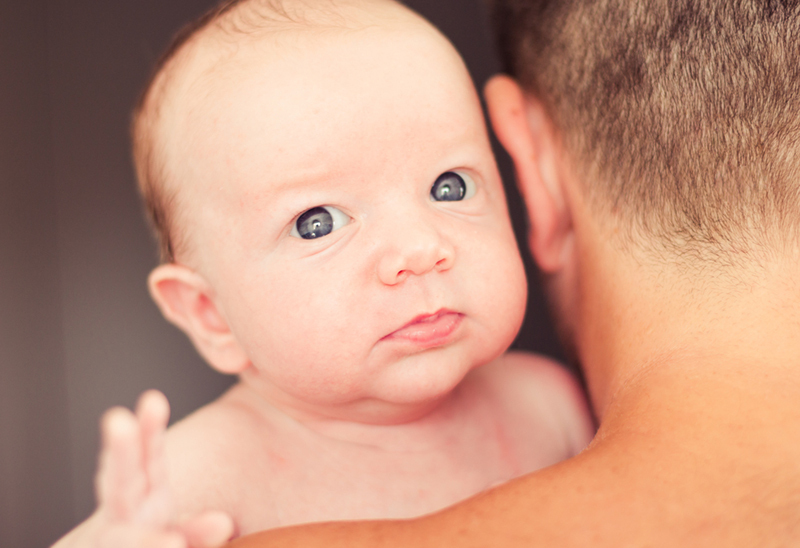 Despite the universal nature of babies' needs, new research in California found a surprising trend among new fathers: fathers of newborn sons were 50% more likely to take paternal leave than fathers of newborn daughters. The study's somewhat lame/nonsensical/infuriating explanations for this boy baby-favoring tendency: "First, it may be that fathers get more utility from spending time with their sons than daughters. Second, it may be that the parents perceive that paternal time spent caring for boys is relatively more productive than time spent caring for girls."